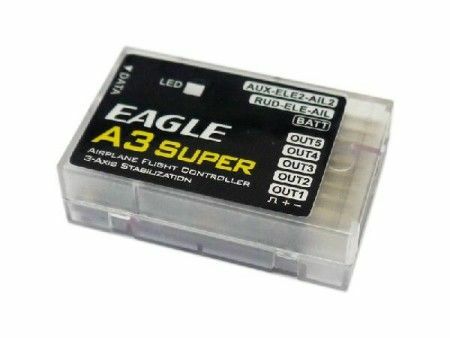 -A3 Super is the latest RC flight control system of EAGLE's A3 Series. It is designed especially for fixed-wing. With an integrated built-in high precision 6-axis (3 gyro + 3 acc) MEMS sensor and advanced attitude and PID control algorithm, the controller can accurately detect the angular velocity and attitude of the aircraft and issue commands to all servos, which enables the balance and stability throughout the flight. A3Super provides mixing functions of delta-wing (flying-wing), v-tail and also supports separate dual aileron and dual elevator controls. 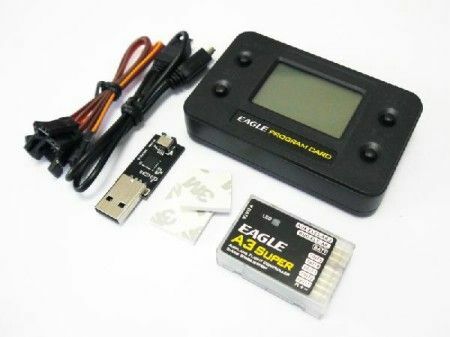 It can be used in nearly any type of RC aircrafts. -We also provide you a program card. 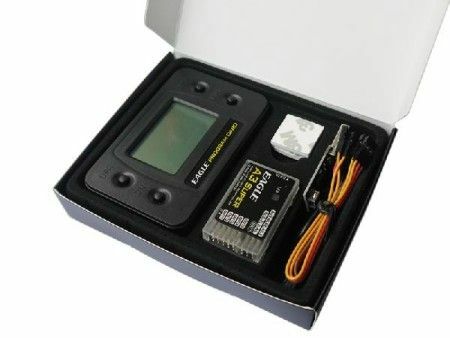 Without connecting to a PC, you can easily setup all the functions and parameters even during the outdoor flight. The firmware can be upgraded through the USB adapter. -Integrated design of 6-axis (3 gyro+3 acc ) MEMS sensor for self-stability and self-balance. 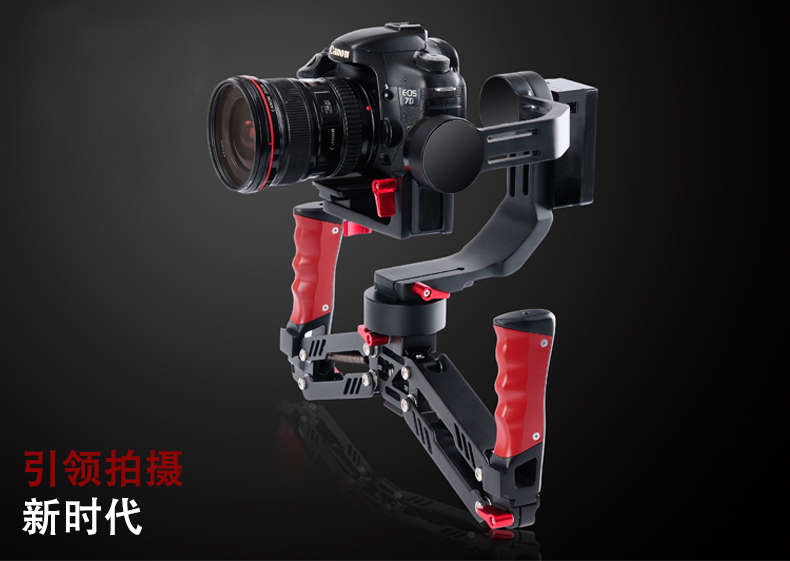 -4 flight modes: Normal Stabilization, 3D Attitude Locking,Self-balance and Gyro Deactivated Modes. -3 control behaviors: stable, normal and sport modes. -Separate dual aileron and elevator with dual input supported. 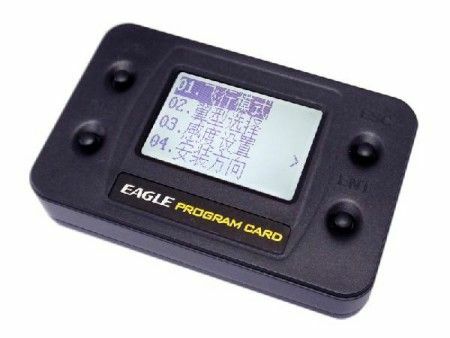 -Easy-to-use program card which supports both Simplified Chinese and English. 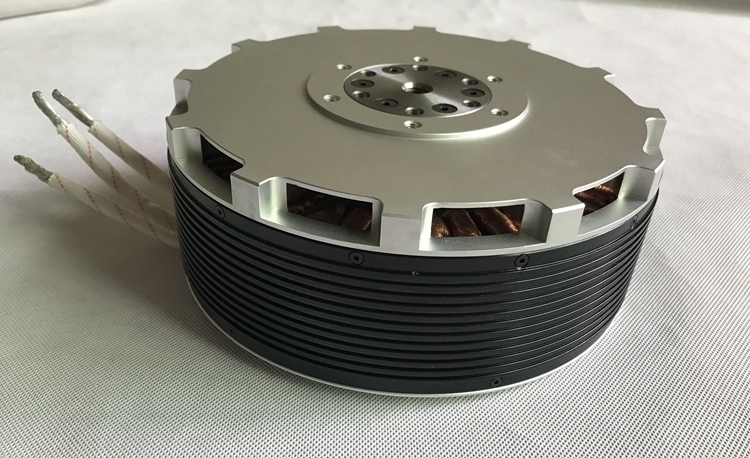 -Independent gyro gain adjustment and gyro ratio selection for each flight mode. -Separate adjustments of servo travel limit to both sides of neutral. -Mixing functions of delta-wing (flying-wing) and v-tail. -More advanced configurations can be customized such as servo operating frequency, gyro response rate, gyro switch, level offset, stick centering and stick deadband.